ColourPop quietly increased their prices on select products Thursday. The price increase is very meager so you would think that people wouldn't mind or complain but of course that is not the case. And by meager, should I mention I only mean 50¢? Yes, 50¢! But I guess some people will always find a reason to complain. ColourPop is made in America. What that means is that they aren't outsourcing their labor to a cheaper overseas market. They are doing everything in-house. That's more costly. ColourPop is based in California. California recently increased in their minimum wage. When minimum wage goes up that effects everything else. They also saw an increase in the cost of supplies. It's called inflation. If ColourPop has to pay their employees more, pay more for pigments, pay more for packaging etc. should they have to take a loss? No, that's bad business. A small price increase is very fair to keep costs low to consumers while still allowing them to make a profit after all their business costs and needs. Remember ColourPop reserves the right to increase their prices at any time for whatever reason they choose. ColourPop has not had any increases in their prices since their launch in 2014. That's amazing considering how poplar they have become. A lesser company might have used that popularity as a reason to take advantage and charge more to make more money. But ColourPop did not go that route so a small increase now is very understandable. ColourPop stated this increase is due to "rising manufacturing and raw material costs". 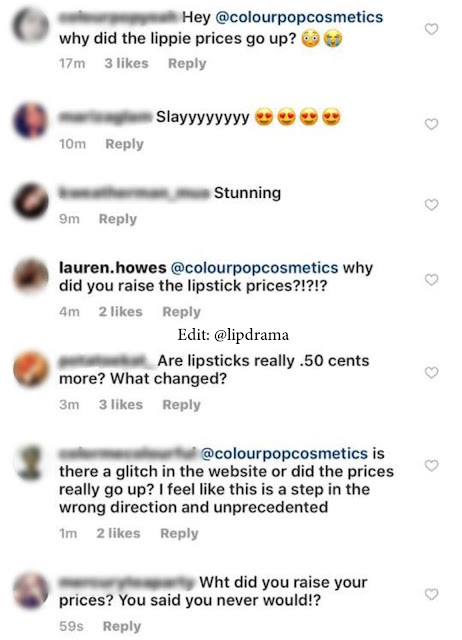 The 50¢ increase only applies to their lippie stix and all liquid lipsticks (matte and satin). All other products will remain the same in price. There will also be an increase of $1 in domestic shipping fees for orders under $30 to $5.99. I think these are very understandable increases and they didn't have to let fans know but they chose to and that's honorable. However, many are concerned and some upset. They feel like this marks a trend in ColourPop increasing their prices especially since they are now in Sephora. A move that prompted the brand to assure their devoted fans that prices would never increase. But they meant their prices in Sephora would never be higher than their website prices. Not that they would never increase their prices overall. No one can make that kind of promise. Over time every product eventually sees a price increase. Otherwise, we'd still be paying less than $1 for a gallon of milk. That's just the way it goes. I don't think 50¢ is a big deal. Yes, when you spend more it starts to add up but if it makes that big of a difference to you then wait for the sales that they have quite often. That's what I do anyway because with ColourPop it's never just one and done. You pick up a few things and with the "Buy One, Get One" or free promo item sales that come around, often you end up getting a better deal. I don't know about you but I will still be purchasing from ColourPop. 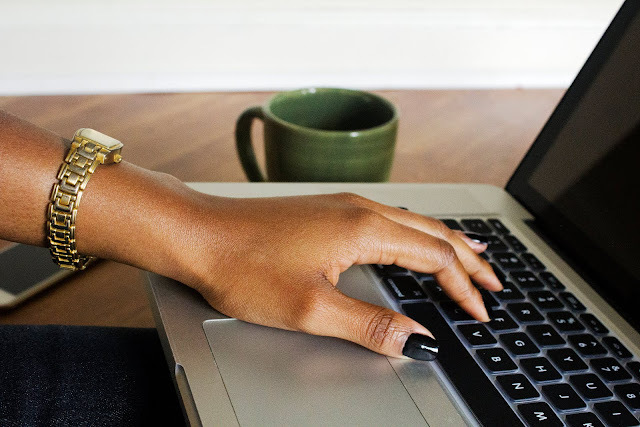 Will this price increase make you think twice about your next ColourPop purchase?